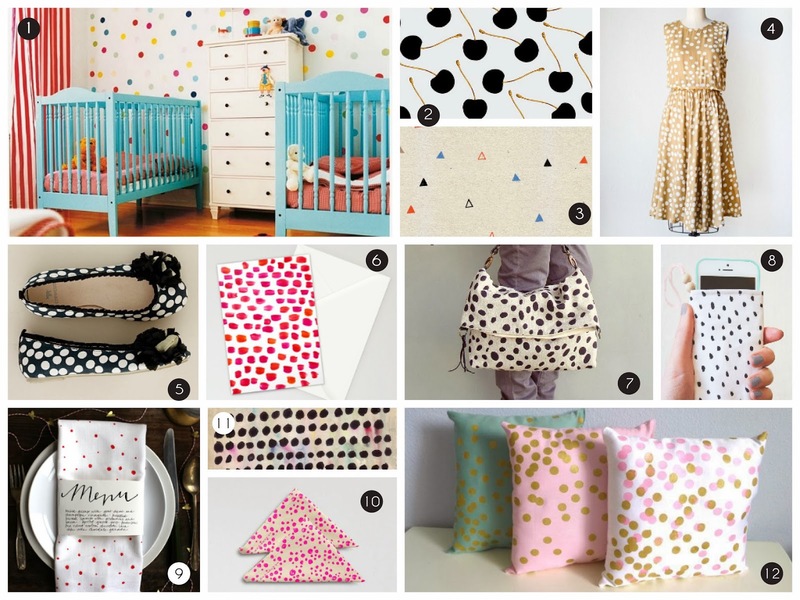 You probably are aware of the Polka Dot trend that has been going around, but the latest twist on that is Random Polka Dot. And it not necessarily dots- could small specks, brush strokes, splash stains, or any other small shapes scattered in a random pattern. Now, to keep up with this, go ahead and get yourself a Random Polka Dots dress, or a pair of shoes, or a pillow, or even a manicure with littlest random polka dots! How to put together an awesome baby shower gift. 5 examples of great crib bedding for colored cribs. Our New Offering "Spanish Serenade"